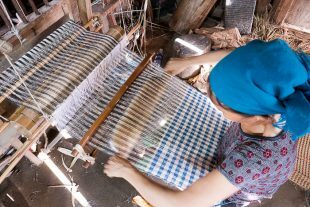 We woke up early on Sunday morning, but probably later than every other person within a fifty-mile radius of Tam Sơn. Today, you see, was market day. 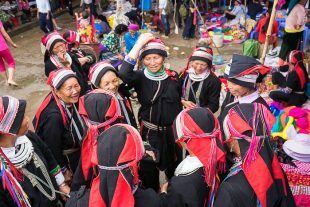 And groups from all around Ha Giang would be pouring into town to sell, buy, eat, and socialize. 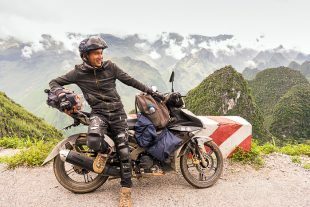 Our final adventure in Vietnam would be a four-day loop around the northern province of Ha Giang. This is one of the least-populated and least-visited areas in the country, so we thought it would be best to hire a guide. 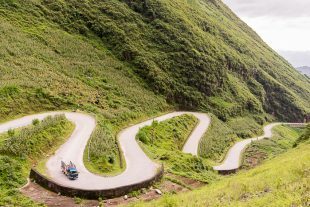 After doing a ton of research, we decided upon a Ha Giang local named Chu Chu … and we couldn’t have made a better choice. 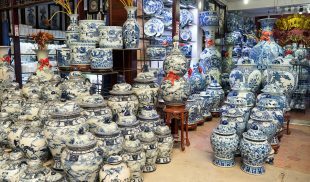 Just to the southwest of the city center lies Bát Tràng, a village which has been making ceramics for centuries. We spent a day here, touring a factory and admiring the ceramics being sold in just about every store in town. The best (and only?) 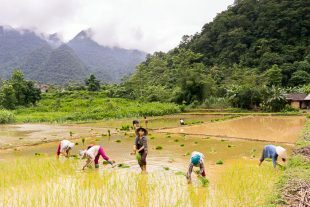 reason to visit a place like Tam Đảo is the opportunity to immerse yourself in nature. Get some exercise, breathe fresh air, and shrug off the stress of the big city. 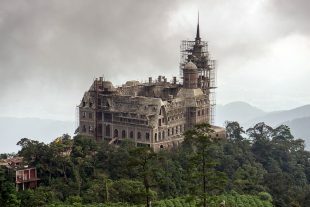 To this end, we took a walk through a bamboo forest along a challenging path, and also visited the town’s main temple. 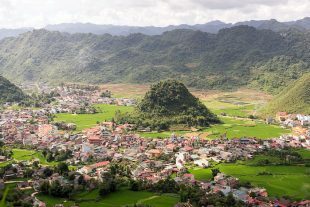 Founded by the French in 1907 as a retreat from the summer heat of Hanoi, the little town of Tam Đảo is found high in the hills, near a national park which shares its name. 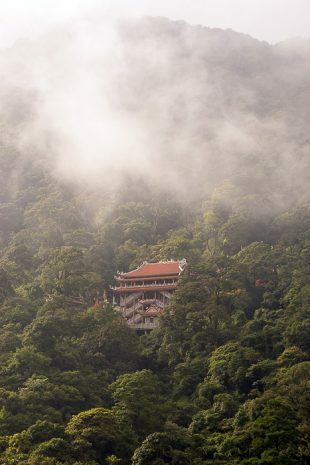 Today, it’s a popular place for Hanoians to cool off and enjoy some nature. We decided to hop on a bus, and spend the night in town.